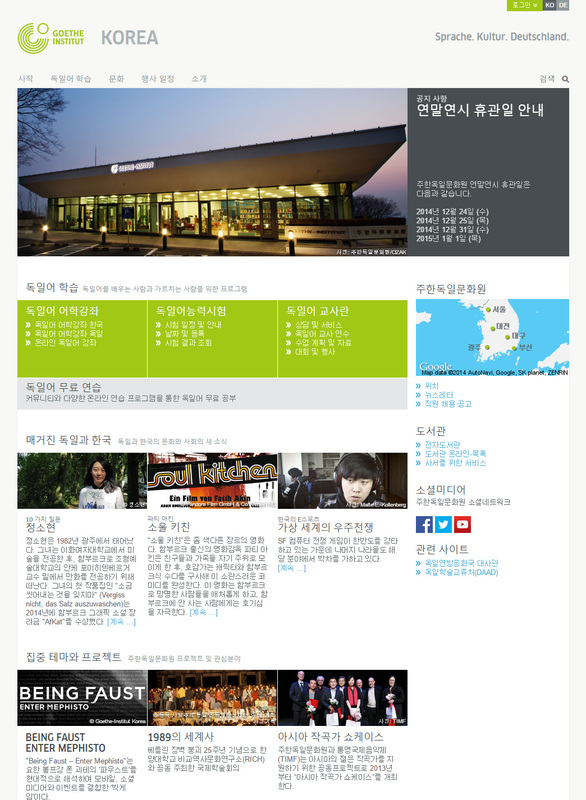 In the previous issue of this newsletter we showed you the relaunch structure and design of Goethe-Institut’s new home on the web. 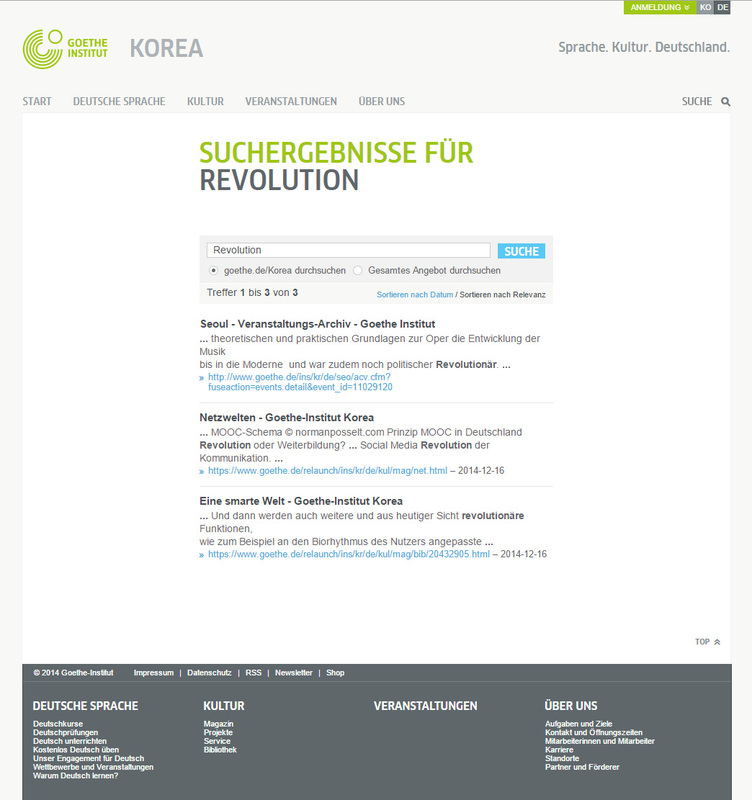 Now, the Korean website is the first one to follow Germany in the relaunch process. The general structure is pretty similar, you can learn a lot about German culture and language, but there is of course also a lot of local content. 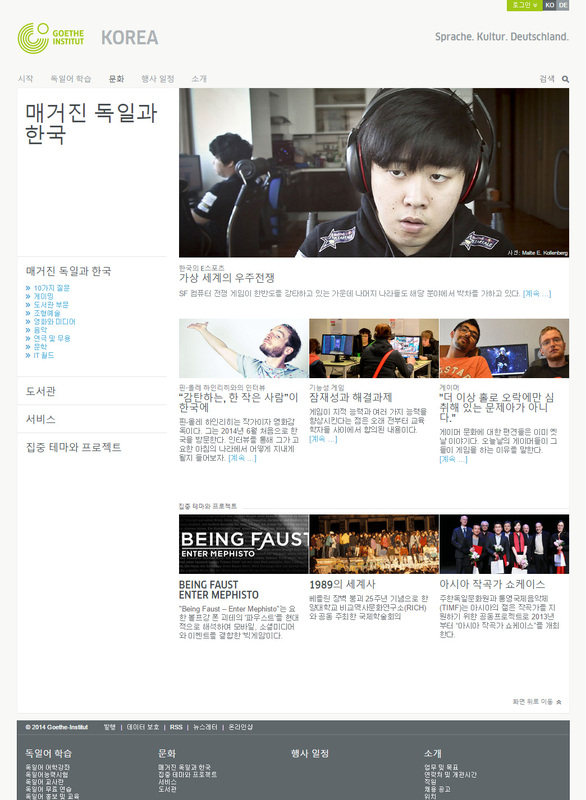 All in Korean and German of course. 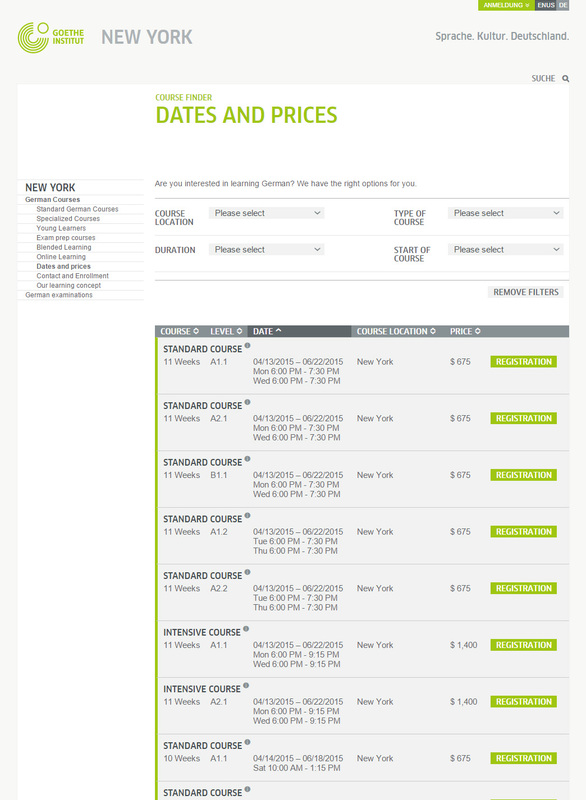 At every Goethe-Institut anywhere in the world a lot of events are taking place during the year. 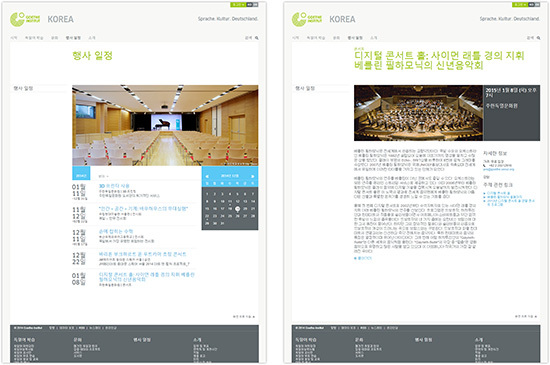 So we developed for the relaunch a centralized event calendar application, which premieres now on the korean website. The heart of the event calendar is the huge event database we created when migrating the site to the new CMS, it contains almost all current and past events of all Instituts worldwide, in total about 70.000 entries. 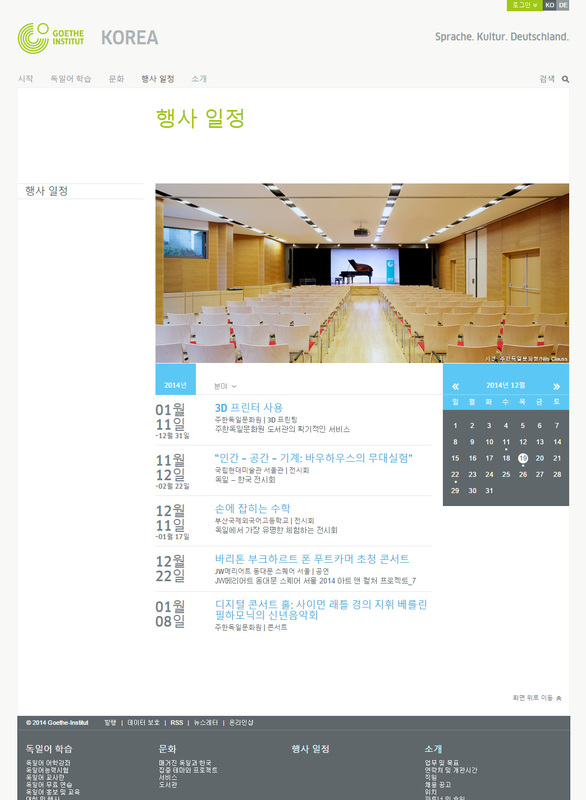 The new event calendar application lists the events of the respective Institut in a modern and user-friendly way. 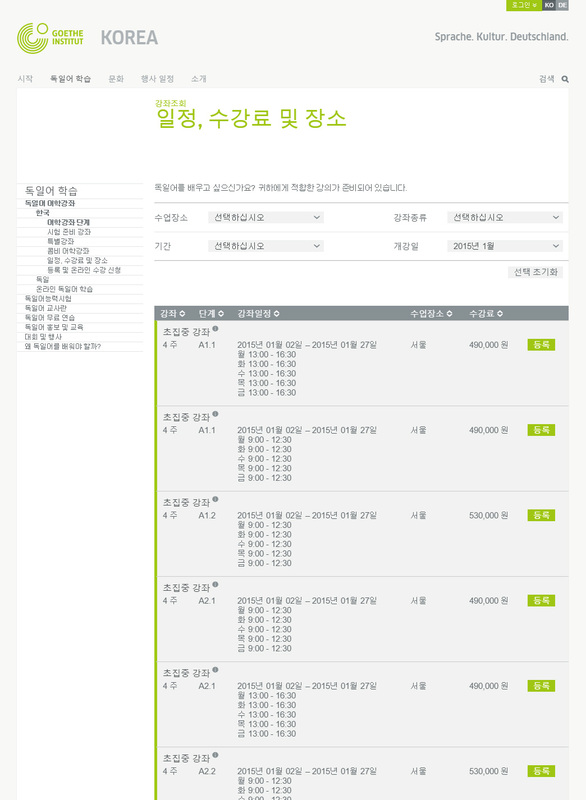 You can filter the list by event category and of course you can search for events on a specific day or month. 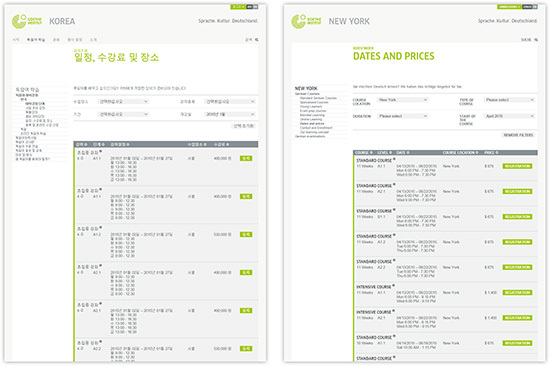 The event calendar application will be a central part of every country website and is available in several designs. 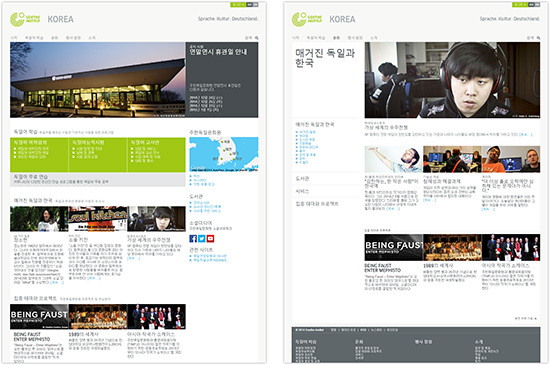 Another new feature, the Korean site is the first to use, is the new onsite search. It´s based on the Google Search Appliance (GSA). From the outside awesome Goethe relaunch design, under the hood, powerful Google Search Technology. The GSA is a piece of hardware, that runs in the Goethe datacentre which enables us to offer on goethe.de a similar search experience people are used to from google.com. So we now have features like „did you mean?“ or „type ahead“ which users are expecting from a modern onside search today. The main reason for choosing GSA as the new onsite search engine for goethe.de was the fact, that it includes dictionaries and stemming tables for almost all languages the website is available in, so we can guarantee the quality of search for all goethe sites around the world. The fall edition of the MobileTech Conference has moved again. This time within Berlin, from Potsdamer Platz to the old Osthafen (Harbour East) in the east of the city just around the corner of Oberbaum-Bridge. Following the megatrend of Internet of Things the MTC got a brand new sister conference called „Internet of Things Conference“ which had been a huge success having in mind, that it has been the premiere. Again Markus had been part of the Advisory Board and on day 1 of the conference he did his „Product development for mobile“ workshop again. Furthermore he updated the crowd on all the cool new stuff that's around in mobile by holding a talk on „mobile trends“. 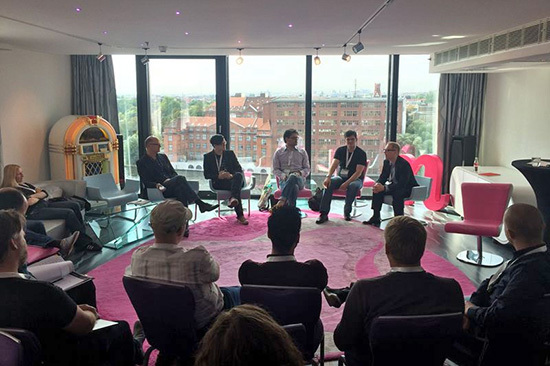 Last but not least together with Sebastian Meyen Markus hosted the iOS8 dev summit, a panel of iOS Alpha Geeks taking place in the stylish studio of the nhow hotel, beautifully overlooking the river Spree. Once a year the German ColdFusion crowd is gathering in Munich. We had been there as local support carrying our fritz-kola fridge and Oculus Rift DK2 with us. Matthias gave a talk on ColdFusion in Enterprise Environments, you can find the slides here embedded. We finish with the hint not to forget to let your apps update automaticaly; almost all our iOS apps got an update following the iOS8 launch a couple of weeks ago. 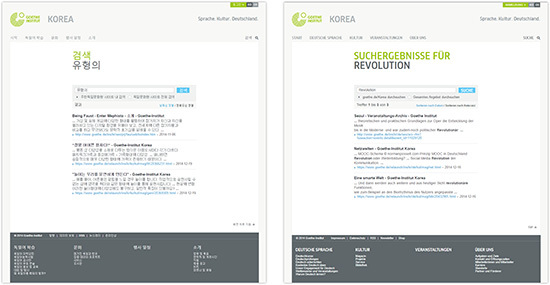 The New Goethe.de: Migrating 400,000+ Web Pages. 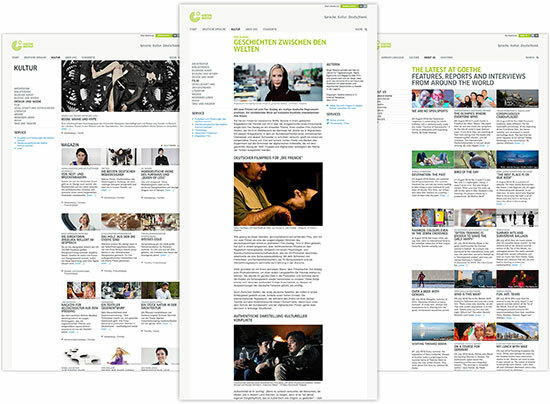 Goethe-Institut has been our client for many years. In former issues of this newsletter we already told about the app “German Traces“ and “Deutsch fuer Dich”, a community for people learning German. Our recent job was to migrate the existing Web presence to a new content management system while retaining the content and its look. In a nut-shell: everything should stay the same, but on a new technical basis. In the next step the website should been relaunched utilizing the new technical possibilities. Only one glance at the bare figures suggests the extent of this task. We are talking about 300+ sites, 400,000+ web pages, 92 countries, 64 languages and more than 700 editors. Due to the enormous number of editors who are distributed all over the world, one of the main objectives of the project was a “training-free” introduction, i.e. without the need for on-site trainings. Initially the existing content, which was made up of approximately one million individual objects, had to be migrated to the new CMS. To achieve this, we scripted an import tool that can draw objects directly from the Oracle database of the legacy system, alter them according to the requirements of the new CMS and directly write them into the new database. Additionally, the pages had to be generated in according to the new structure and assigned to the appropriate sites. Also, the correct rights and categories had to be applied. In order to keep the task manageable, we migrated the country portals consecutively according to the “follow the sun” principle. (Explanation: Each country has a portal of its own albeit without a URL of its own; they are all reachable via goethe.de). 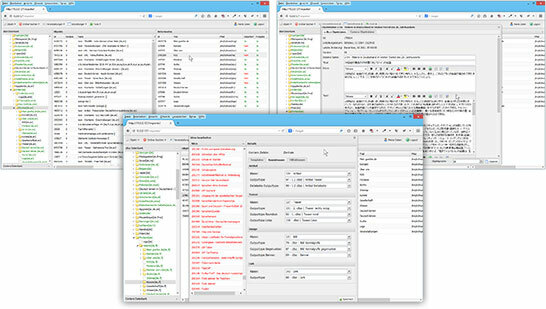 After the migration, the content was checked by the responsible editor and corrected if needed. Then the country site could be switched to the new CMS. This way the web presence was being generated from two individual systems at the same time without the users noticing. As the structure of the URL was changed slightly, a gazillion of rewrite rules and regular expressions have to provide for the old URLs and all of the deep links to still work. 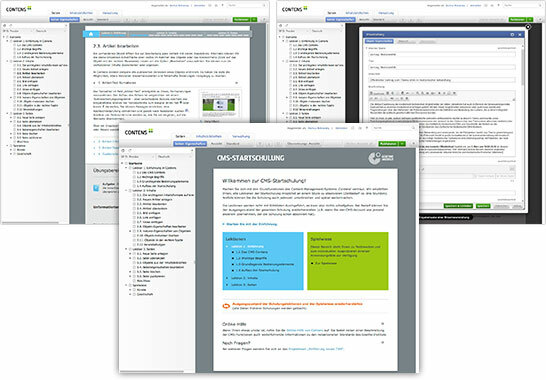 To make the handling of the new CMS easy for the editors, the specialists at Goethe-Institut developed a basic CMS E-Learning self service course. We programmed it based on the CMS. The special thing about it: it does not run on the frontend but in the backend of the CMS, so that everything newly learned can be tried out instantly without leaving the context. The training course is being generated from scratch for each editor at his first log-in based on a maser system and can be reset by him anytime. This enables them to safely try out everything and return to the baseline, if necessary. All of these steps were performed in the background during the past months without website visitors noticing. Country portals were being imported, checked and corrected, editors trained and finally countries switched. One of the main reasons for the migration to a new CMS was of course the need for an up-to-date and powerful system which can facilitate state of the art web projects. We implemented the first project based on the social media framework RELATE, which is part of the new CMS CONTENS. We already reported on the project called “Deutsch fuer Dich”, a community for people learning German, in an earlier issue of our newsletter. 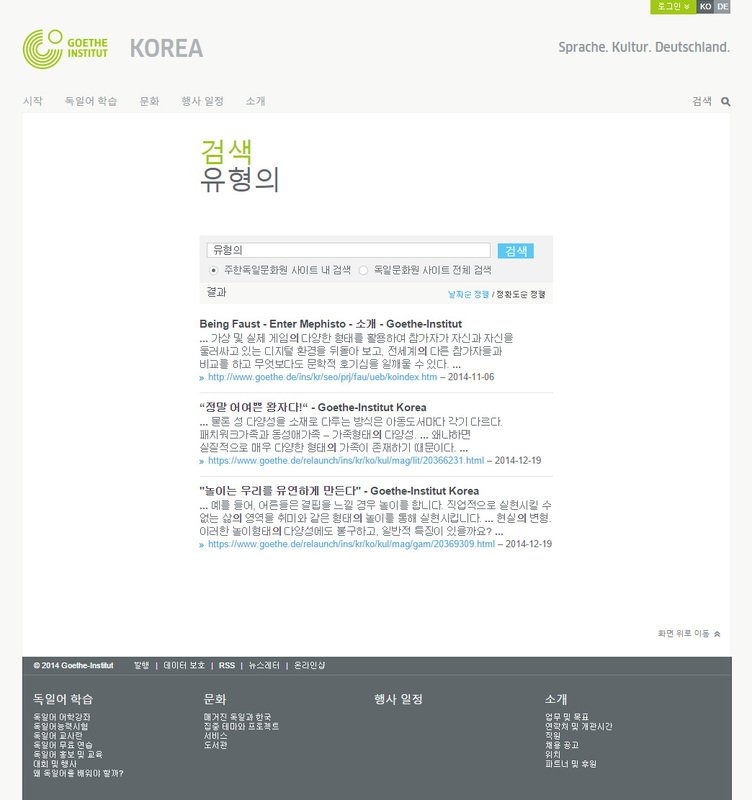 The next step was to relaunch those core contents of goethe.de which are being managed in Germany. Core contents include everything except for country portals. That relaunch was performed during the past few weeks. So now, as the results can be seen, we think that the time has come to tell about this project. The concept, design and contents were developed by the experienced team at Goethe-Institut and we were entrusted to perform the technical implementation. We find the result really excellent! 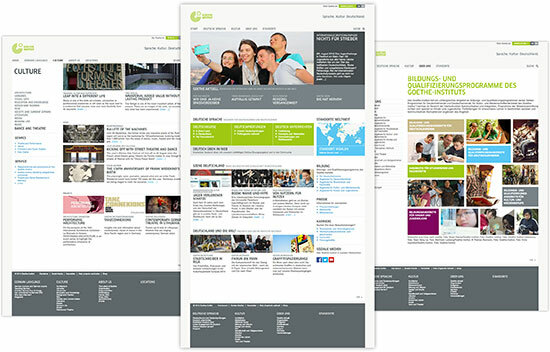 We think the new website represents Goethe-Institut, which is none other than the cultural ambassador of Germany in the whole world, in a clear, modern and aesthetic way. An own editorial team provides new content every day. Some figures: over 300 templates guarantee visual variety, between 6,000 and 10,000 new objects are being published each day. Even if you live in Germany, speak German perfectly and thus are not member of the target group of Goethe-Institut, we encourage you to cast a glance at the Magazin which you will find at the menu item “Culture”. There you will find a wealth of interesting articles on art, music, movies, architecture etc. That's all? Of course not ;-) Take a deep breath, inhale and then carry on with full throttle. The next step will be to switch two pilot countries to the new structure and look, that is relaunch. Starting in January 2015, all of the 90 other countries will follow step by step. Until then, a new search engine will also be in place. Currently we are converting to Google Search Appliance. Plus, a number of interactive elements will be added such as a dynamic event calendar, social media features etc. I can hear you shouting “Mobile”. Yes, the pages are not responsive, but there is a reason for that. You will find out in one of the next issues of this newsletter. 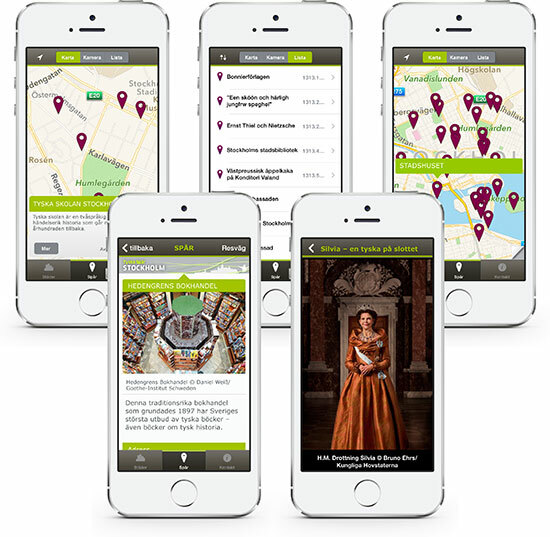 By the end of 2014 there will be a separate mobile version of goethe.de. 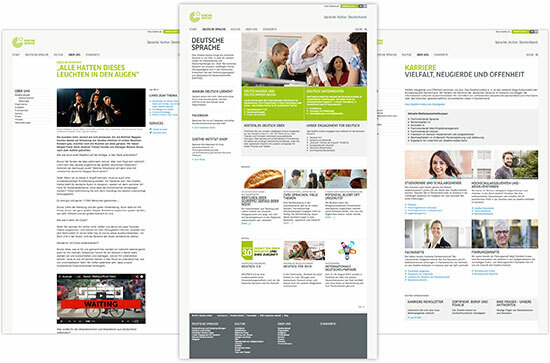 Now all that remains to be said is “Thank you!”: to our client Goethe-Institut for the confidence they have placed in us and their patience, to our team (this must be allowed at this point) for countless extra hours, night work and cool heads as well as to CONTENS, the supplier of the CMS for their support. The project will surely be with us for some time. We will keep you updated at this place. It’s time again: the autumn edition of MobileTech Conference is right around the corner. This time with a partner conference on the boom topic of the past few months: Internet of Things Conference. Once again Markus was member of the Advisory Board and he will also be present at the conference with a workshop and a talk. This workshop addresses project leaders and decision makers who want to successfully introduce mobile apps and services into the market. It covers the full lifecycle, from the concept through the design and development to the commercialization of apps. Experienced Mobile experts provide insights into the crucial phases of the development of an app: the preparation of a conclusive and media-friendly concept, the definition of the substantial requirements and the identification of target groups. Last but not least the specific added value of an app will be discussed. During the workshop we will cover every stage of app development and will highlight the specifics as opposed to traditional website production as well as present tools that support the process. Also we explain technical backgrounds which also non-programmers have to understand in order to give the appropriate instructions and take the right decisions. Together with experienced specialists in the relevant fields Markus Bokowsky will lead the participants of the workshop through the process of app development. Enriched with practical examples and a wealth of hands-on elements the workshop will provide a comprehensive picture of all aspects apart from programming. 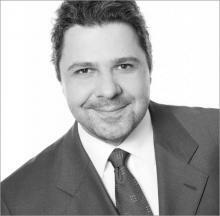 His own talk "Mobile Trends" will take place on Thursday, 11:45 am. Word has gotten around that Mobile has changed everything and that the things we develop are being used everywhere, but rarely when sitting in front of the PC. So what is next? Which industries will transform or be transformed necessarily owing to Mobile? Which trends will accompany or overrun us in the near future? And what will this mean for developers and business decision makers? An attempt of an insight into the present situation and a glimpse into the future. We worked hard on that, and now it’s finally here. 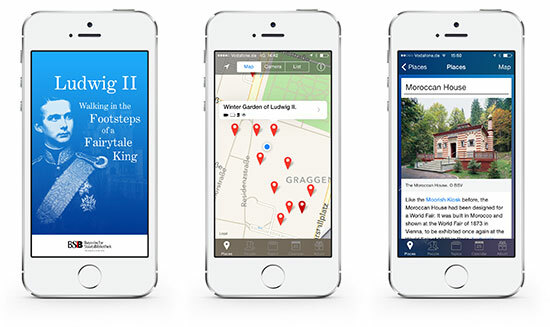 We are very proud to present version 2 of the Ludwig II App. The app was completely refactored for version 2.0. Important parts of the code were rewritten and now make use of the possibilities offered by iOS7. 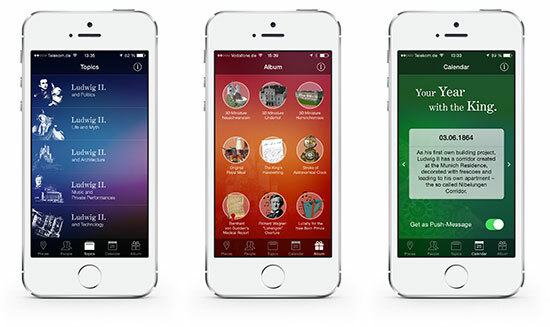 The app got a complete redesign, customised to the iOS7 design line, including transitions, animations, etc. All graphical elements were also redesigned. You've never seen the King in such modern way. Also all Augmented Reality Features had been redone, they use the newest version of Metaio's AR SDK now and are therefore again cutting edge technology. The AR Camera view got a new design, the castle minitures you get as a gift when visiting certain places have higher resulution textures now and finally the 3D object recognition of Ludwigs Wintergarden is much quicker and smoother now. There are also numerous additional improvements in detail, for example, in the audio and video players as well as diverse bugfixes. Of course there comes also great new content with this update. The Wittelsbacher Ausgleichsfond joint the Projekt as a new cooperation partner providing further interesting content. 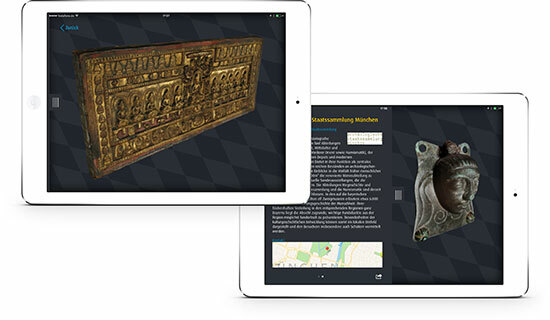 This made it possible to include additional points of interest, like the Museum of Bavarian Kings and also upgrade existing points of interest with photos from the archives of the Wittelsbacher Ausgleichsfond. Additional pictures were provided by the Bayerischen Schlösserverwaltung. Also in version 2.0 the app remains free and is from now on available on the App-Store. All content is available in German and English. 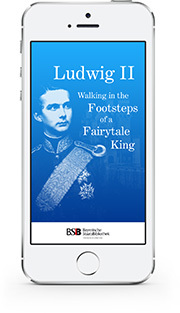 The App "Ludwig II - Walking in the footsteps of a fairytail king" is a project by the Bavarian State Library produced by Bokowsky + Laymann. What is going to thrill us tomorrow? What technological breakthrough has the potential to change our live in the future? These questions were raised at the first Emerging Technology Day at this year’s Webinale in Berlin. The Day had been curated and hosted by Markus and it touched such diverse topics as Wearable Technology, Cryptomoney and Cyborgism. It started in the morning with an expert’s panel hosted by Markus which had been filmed and we are allowed to embed it here. The first 2 minutes are a bit bumpy, but after that it’s real fun to watch. Oh, BTW, there had been of course also a WWDC again, which saw the birth of a new programming language as well as the preview of iOS8. Webmagazin asked Markus after the keynote about his view on iOS8. When WWDC is over, usually Google I/O is just around the corner. Same this year and for all of us that couldn't make it to San Francisco some local Google User groups organized a public viewing of the keynote on day 1, so called Google I/O Extended. We have been proud sponsor of the Munich event and provided Club Mate and fritz-kola to the community to keep them awake during the long night. It was real fun, here some photos for those of you who hadn't been there. 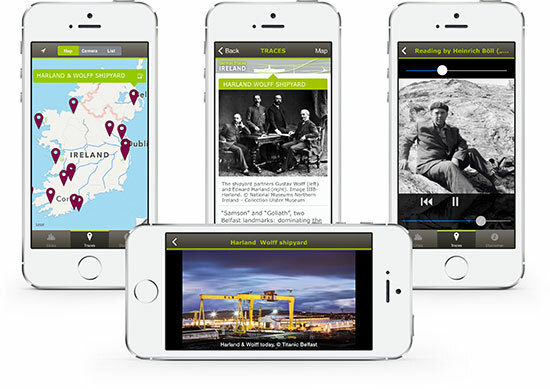 Just a few weeks after Stockholm we are proud to welcome a new content provider to the German Traces App. 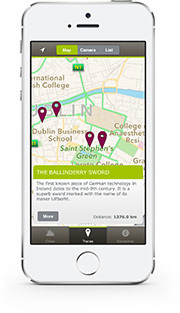 Ireland joined, with 20 very interesting traces of German culture in Ireland. 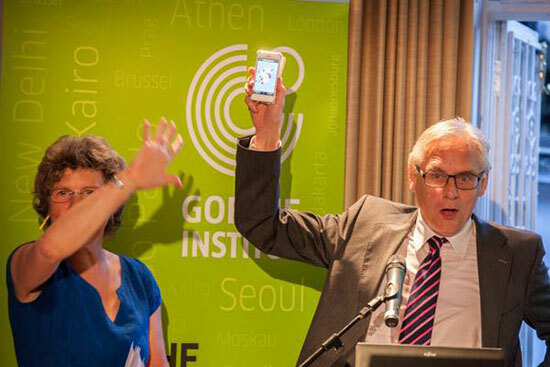 Bruno Gross, Executive Director of the Goethe-Institut worldwide, has some kind words. 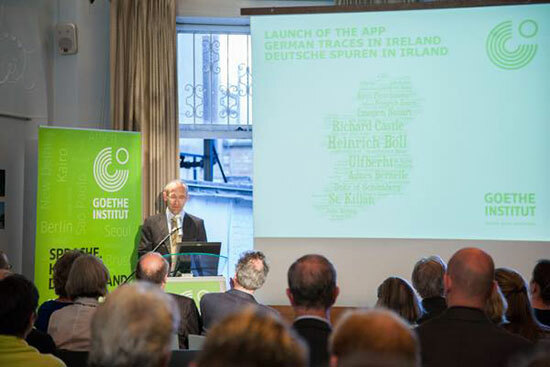 Eckhard Lübkemeier, German Ambassador to Ireland, is launching the App. 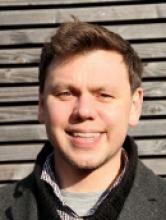 Felix Schwenzel (@diplix) putted #rp14 in one line: "Sascha Lobo had been more funny in the past - me too". NSA Scandal and global surveillance had been the main topics this year at the conference. Not knowing what to do against it and very well knowing - that we might meet again next year and nothing will have changed - produced a bit of a depression amongst the 6.000 attendees. So Sascha Lobo (@saschalobo), always one of the highlights of the show, had been much more serious this time. He emphatically beged, that we all have to care more and do more to save the Internet at it is used to be before PRISM & Co. Here is his talk. (German only). Staying with the subject, next is an interview by US Journalist Alexa O'Brien (@carwinb) with Wikileaks activist Sarah Harrison. Some of you might remember Sarah from her short talk at 30c3 in Hamburg end of last year. She is one of the supporters that helped Edward Snowden out of Hong Kong and getting asylum in Russia and she may probably become the new public spokesperson for Wikileaks. Let´s have a look at the more funny parts of #rp14. The opening keynote had been conducted by The Yes Men Group (@theyesmen). The Yes Men are operating for years in the border region of internet art space and political activism. If you don´t know the Yes Men yet, have a look at two videos of their most spectacular work, the Dow Chemical Bhopal Hoax http://youtu.be/LiWlvBro9eI and the New York Times Hoax http://youtu.be/YoZQNgAnvqs. Last but not least a session with infos and tipps you can use for your daily work. The talk of Thorsten Feldmann (@feldblog) and Henning Krieg (@kriegs_recht) on Social-Media Law is a re:publica classic already. Always very crowded, always very useful. 2h of strange stuff in german jurisdiction. Just a few days left, hurry up, Webinale ist just around the corner. We have a premiere to anounce, there will be for the first time an Emerging Technology Track curated and hosted by Markus (@MarkusBokowsky). Of course, thats something we'd like to point your eyes on. Beside that, there will be of course much more talks and keynotes in well known Webinale Quality. 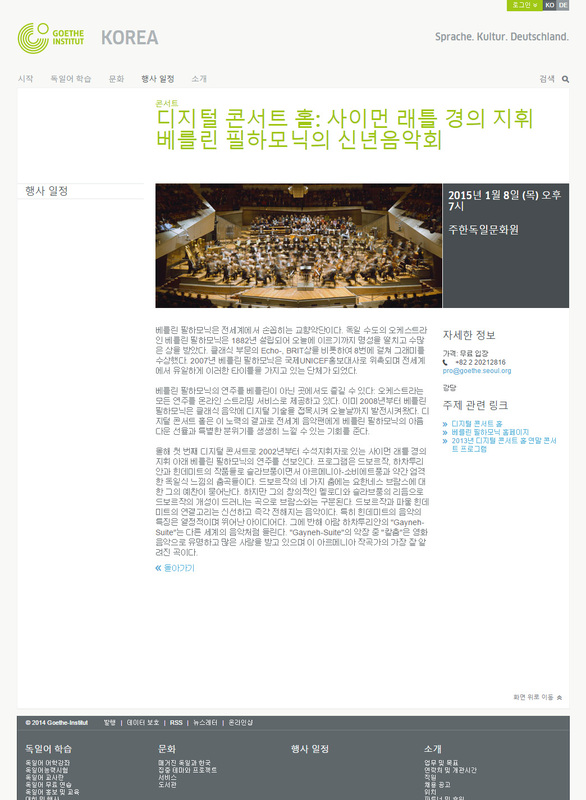 We leaked it already in the last editon of this newsletter, now they are officially online. 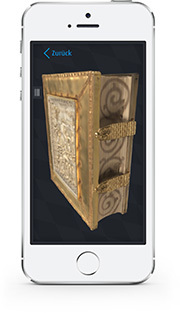 2 new 3D objects had been added to the app bavarikon 3D by the experts at bavarian state library. It is a tibetian book cover from the 13. century and a mask made of bronze from 1. Century BC. No App-Store update required, the app loads the new objects the next time you launch it. Why not do it now? German Traces 1.3.1 - Hello Stockholm, good to see you. 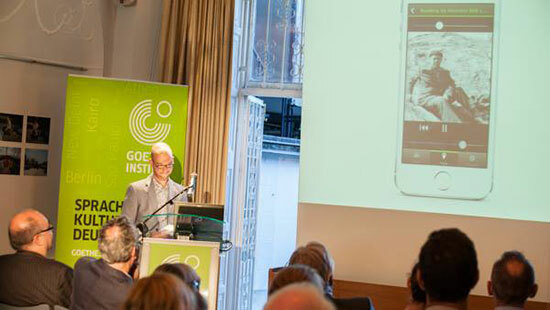 Stockholm - Tyska spår is the name of the newest destination available for the Goethe-Institut app German Traces. 40 highly interesting POIs are waiting for you in this package, from Riksarkivet to Willy Brand Sculpture in Hammarbyhöjeden. Besides changes required by iOS7, we completely reimplemented the AR-feature, based on the newest version of the Metaio AR SDK. The Camera view has a radar now, so you can see in which direction you can find POIs. If you are in one of the cities the app is covering, check it out for yourself, it is really fun to use. Also this award winning app got an update, both the iOS and the Android version. Some new POIs had been added and there had been some clarification in the metadata of certain cities. We again improved the display of the images in the POI view and improved it a lot. So similar to the old famous gravings also the fotos linked to the POIs get scaled to the resolution of your device now. So we can make sure, you always get the crispest image irrespective what device you are using. HiDPI displays will benefit the most from this improvement. In the iOS version we use consequent HLS for video streaming now, so we can make sure, that you always get the best video quality for your device and the bandwidth you are currently on. For the Android version we added geolocation support also for devices that have no build-in GPS module. And finally there is an english version of the Trailer video now. Have a look, its fun to watch. Most changes in the bavarikon3D app happened under the surface. The app had been prepared to handle Updates of the 3D content without the need to make on App-Store Update of the app. 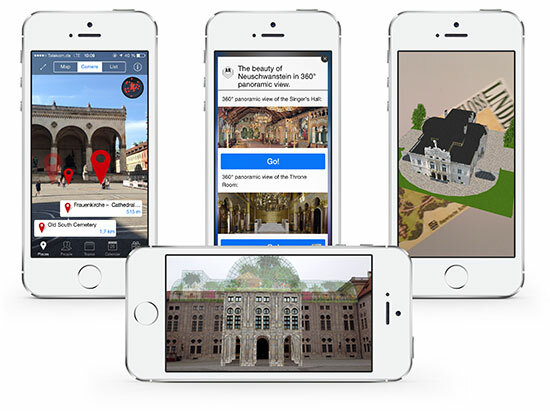 The 3D Specialists at the Bavarian State Library already prepared a couple of new objects, we’ve seen them already but aren’t allowed to tell you yet ;-) But it can be only a matter of days till new 3D objects hit the app, so have an eye on it and make sure to grand the app privileges to send you push notifications. We also made the app fit for iOS7, improved the loading process of objects on older devices and did some minor bugfixing for the iPhone version. Wait! Isn’t there an app missing? Oh yes, it certainly is! The King is missing: The update of Version 2.0 with a complete design revamp for iOS7 is still in beta-test at the moment and almost on the way to the App-Store. Expect more news on that in the next issue of this newsletter. The Munich edition of the MTC14, had been again a big success. Lecture halls had been full and the expo area was crowded during the breaks. Of course we’d been there with a booth again and gave away Club-Mate and fritz-kola for free. Something we can almost call a tradition now, and as expected conference attendees happily consumed the extra shot of caffeine. Thanks to all visiting our booth, we really enjoyed the chat with you. For the first time at MTC , there had been a workshop also for the business track, not only for the software development tracks. Markus had been in charge of it and he spend a very interesting day together with five other handpicked experts exploring the way how to plan and design a successful app from a strategic, not technical point of view. We hab been surprised and very delighted that the workshop got 40+ attendees at his premiere in Munich. This will be massive! Berlin took all web related events that usually take place in May and June and combined them to a XXXL Edition of this years Berlin Web Week. We picked the not to miss events and compiled this list for you, but this is just the top of the iceberg, there is much more going on in Berlin in this week. You can use this as warm-up for the big ones, both events take place at interesting locations, at Berlin Betahaus and old Tempelhof Airport. What should I say, the social-media mothership has landed. You probably know everything about it already, so don’t miss it. Fun fact: For the first time in history (as far as we remember) there are still tickets left. One of the various events for startups in town. It may be worth going anyway, because the visual concept has again been done by our Collectors Mug Artist of the Year Matthias Zosel. Germans biggest gathering of Android developers, also at Station Berlin now. And finally the LinuxTag also moved to Station Berlin, compared to his last quartier at Berlin Fairground certainly an improvement.